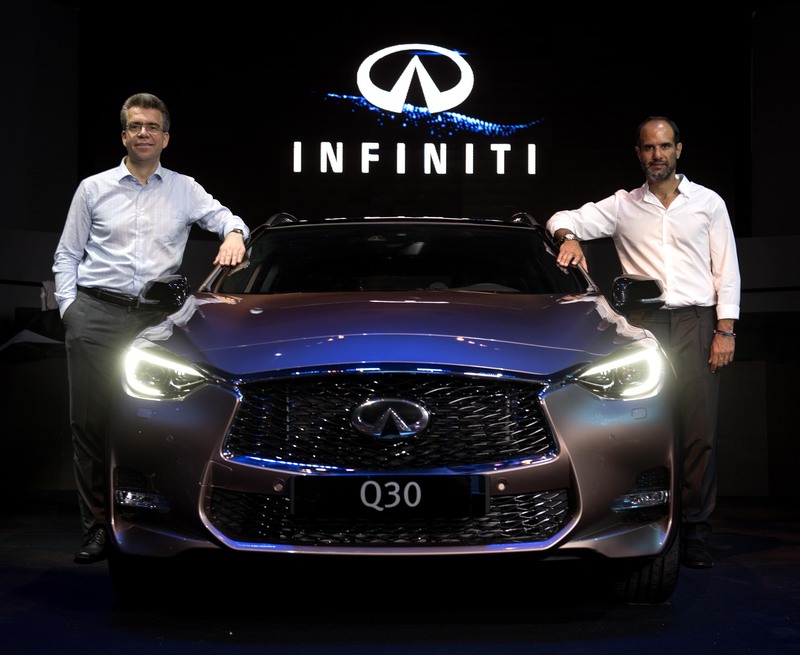 At an exclusive event in Beirut, Infiniti Middle East and Rasamny-Younis Motor Company (RYMCO) took the covers of the hotly anticipated all-new Infiniti Q30. RepresentingInfiniti’s first entry into the fast-growing premium compact segment, the Q30 will play an important role in continuing to drive the growth of the brand here in the region. An important, differentiating characteristic of the Q30’s design is its combination of elevated stance with an overall height that is superior than models in the traditional compact segment. The Q30’s height (1,495mm) allows for a higher hip point (531mm), which aids entrance and exit. The A-pillar design is intentionally slim, contributing to enhanced visibility for a confident driving experience. The Q30 Sport stands a little lower (1,475mm), accentuating the already distinctive, coupe-like silhouette, which is emphasised by a shallow side glass area, while also providing for agile ride and handling. Driving performance will also be distinguished, thanks to individual suspensions settings and distinctive ride and handling characteristics – offering premium compact buyers a choice that is specific to their personal needs and preferences. The Q30 Premium includes LED front fog lamps, body-coloured and heated door mirrors, as well as chrome dual rectangular exhaust finishers. 18-inch alloy wheels add to the Premium Plus grade’s striking appearance. On the technology front, the Q30 delivers in spades as the best equipped with the highest level of assistive technology in the segment. This includes Around View Monitor with Moving Object Detection, Intelligent Parking Assist, Forward Collision Warning with Forward Emergency Braking and Blind Spot Warning. The all-new Infiniti Q30 is now available in Lebanon in all Infiniti showrooms.